When it comes to St. Patrick’s Day, I always think of my mother. She was part Irish, although I have to be honest and say she was sort of part-everything. Her maiden name was Kirk, and she always told us that she had once traced the family tree back to the first Kirk to come to America from Scotland; he married an Irish girl, and their son married a Cherokee, and so on down the line. She insisted that we had our own Tartan and family crest, and swore that our family history also included Welsh, Swedish, Dutch, French and German ancestors. She also insisted that she was 5’5” but barely reached my chin, and I am 5’4”, so I think it’s safe to say that many of my mother’s “truths” should be taken with a grain of salt. Irish or not, she definitely had the Gift of Blarney. She loved St. Patrick’s Day. She was an incredibly irritating Morning Person who was hard enough to deal with on a normal day, but on St. Patrick’s Day, she amped it up by blasting “Irish Washerwoman” on the radio and clog-dancing around our beds to wake us up. She insisted on speaking in a thick Irish brogue all day, and the real tragedy here is that she thought she was good at it. She ain’t never complained before. Neither were my sisters, as I recall. It was pretty early in the morning for a brogue-off. 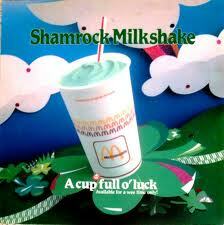 But the real reason I think of my mother on Saint Patrick’s Day is McDonald’s Shamrock Shakes. Dear Lord, those things are pure evil. Nothing should taste so good! Cold and sweet, just minty enough, creamy and smooth. I am not usually a big fan of milkshakes other than plain old vanilla, but Shamrock Shakes are so much more than just a milkshake. They are an experience. In the final days of Mom’s battle with breast cancer, she developed a craving for a Shamrock Shake. She had lost her appetite and her weight had dropped to well below 100 pounds, so we were happy that she had a craving for anything. The cancer had invaded her brain; she was childlike in size and behavior by that point. One of us stopped and bought her a Shamrock Shake on the way to the hospital that morning. I don’t remember now which one of us it was, and it really didn’t matter. All that mattered was Mom getting something that made her happy at the moment. Before she could even take her first sip, however, one of the nurses who was drawing her blood at the time somehow managed to bump the tray and spill the shake all over the floor. The nurse was even more devastated than Mom. Mom wept like a child over her lost treat, and Debbie, the nurse, couldn’t stop apologizing. I remember that she cried a few tears as well. For the next several days, she stopped on her way in and brought my mom a new Shamrock Shake every day until my sister gently told her it wasn’t necessary any more. By that point, Mom didn’t remember any of it. I’ve never forgotten Debbie’s kindness, or the horrified expression on her face when she realized what had happened. It was just a shake, just a stupid mixture of frozen milk and too much sugar, but it meant the world to a dying woman with seven brain tumors and three grieving daughters. Debbie could have dismissed it as just a stupid shake and shrugged off my mother’s tears, but she cared enough for her patient to worry about more than just who was going to mop up the mess. She let my mom into her heart and I knew, even then, how much that cost her. Now, more than thirty years later, I still buy myself one Shamrock Shake to drink alone every St. Patrick’s Day in honor of my Mom, but also in honor of Debbie and nurses like her everywhere, who care enough to let their patients into their hearts, no matter how much it hurts. It’s just a shake, just a stupid mixture of frozen milk and too much sugar, but it’s so much more than that. 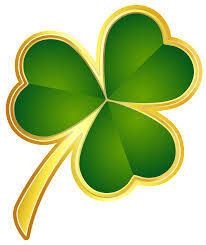 This is a Finish The Sentence Friday post: “When it comes to St. Patrick’s Day. . . ” hosted by Kristi from Finding Ninee, Kelly from Just Typikel, and Lisa from The Meaning of Me. Please take a few minutes to check out what some of the other bloggers did with this sentence! Okay, you made me cry – just picturing you drinking that shake alone. But what a wonderful way to remember your mom. And God bless that nurse. The profession need more like her! I have so much respect and admiration for nurses and all that they do! It’s really a thankless job. I often wonder whatever happened to my mom’s nurse — if she’s still in the profession or if she burned out early because she cared so much for her patients. What a great way to remember your Mom. It’s the little things that bring back memories and smiles to our faces. Your Mom sounds so full of life and joy (even if she wasn’t particularly good at an Irish brogue)! And that song — awesome! I’m sure that your Mom would never have dreamed of singing all of it to you kids — even if she probably sang it quietly to herself, and grinned while doing it. Happy St. Patrick’s Day, and enjoy your shake! She was full of something, that’s for sure! But you’re right — it’s the little things that make me smile when I remember her. Oh this is just so touching. I love how Debbie reacted but I love more how you still drink a shamrock shake on St. Patrick’s Day. The fact that you do it in memory of your mom AND in honor of the nurses? Magic. Bd yes. I agree. They are SO delicious. I want one now thank you very much. I’ll get one on the 17th and salute you and yours. And I shall have a raisin scone with mine as a salute to you and your late husband. Happy St. Patrick’s day to you, too. Oh now this is a post. Such a lovely tribute to both your mom and to Debbie and the other caregivers. Love how you honor all of them on St. Patrick’s Day. I agree with you that shamrock shakes are delicious and would like one right now thank you very much. I shall get one on the 17th and raise it high. In memory of your mom, all the Debbies and as a salute to you. WOW. You came out of your blanket fort to write this or not but I have to say that I feel honored to have read it. This part, in particular: “It was just a shake, just a stupid mixture of frozen milk and too much sugar, but it meant the world to a dying woman with seven brain tumors and three grieving daughters.” is so so beautiful. Thank you thank you for linking up to Finish the Sentence and I’m going to buy a Shamrock shake in honor of your mother next Tuesday. I think she would like that, Kristi. Thank you for pulling me out of my blanket fort. I needed a little bit of a nudge tonight. OH, I’m crying, too…such a sweet and beautiful tribute to your Mom. When I get my Shamrock shake this year, and I always do, I shall raise my cup to you and your Mom. I usually avoid all things questionably colored, but those shakes are a childhood memory in a cup for me – always to be had with a filet o’ fish sandwich. 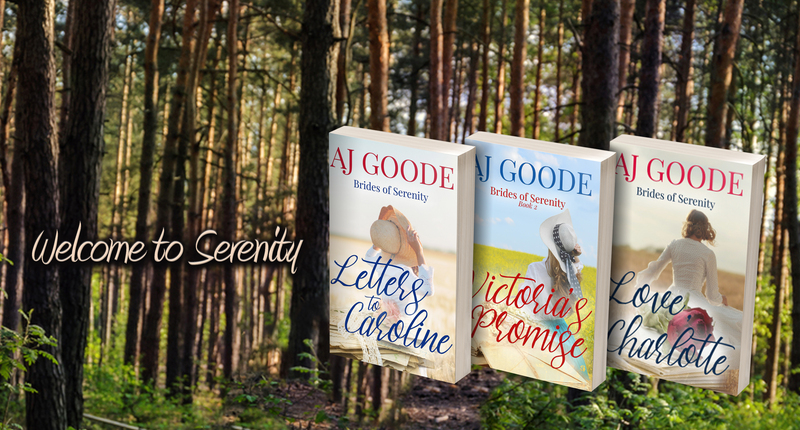 Thanks for a great post and I’m so glad to have re-found your blog! I’m glad I found yours, too! And you’re right — those shakes are even better with a filet-o-fish. Yum, now I’m hungry! Some things just go together, A.J. Peanut butter and jelly…pizza and beer…Shamrock shakes and Filet O’ Fish! I just followed you everywhere and added your blog to my feed so I don’t lose you again! I can only hope that everyone has a nurse as kind and thoughtful as Debbie. I’m sorry that this time of year may bring you sadness, but glad that a simple shake can bring you a moment of peace, happiness and memories. That experience gave me a whole new outlook on nursing. It really takes a special person to go into that profession, and I wonder how many of them realize what an impact they have on the families of their patients. Awww sniff sniff, it is so more than about a shake. I love your story. Love Debbie the nurse. And I know your mom would love to know that you have the shake in her honor each year. Okay you had me laughing along with you right up until you had me crying with you. Stop that. Lol …. Thanks for that, Marty! That’s something I’ve always admired about Twain, so if you say I had that effect on you, then I’m definitely going to take that as praise! Reading with tears on my cheeks, but a smile. I am glad you found the fun of your mother even as the devastation of loss weaved through. Thanks, Val. Mom was a fun lady, and it wouldn’t be right to remember only the sad things. I think the word “quirky” might just have been invented to describe her. Cheers to you, your mom, and the nurse, A.J. Your story is going to stick with me; I’m going to remember your mom every time I see a shamrock shake.